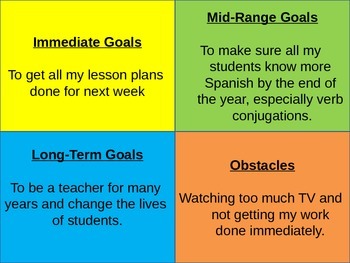 A great PowerPoint for the beginning of the year or anytime! 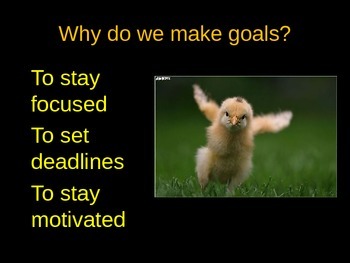 Teaching students why we set goals and how to set them. 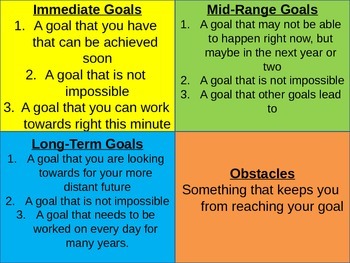 Includes short-term, mid-range, and long-term goals as well as obstacles to our goals. Includes an example.